2010 World Championship Bronze Medalist Stefan Zeberli has claimed the victory in his home country's National Championship. Zeberli charged up the podium from third place to first place in the last four tasks of the event and grabbed top honors in the Championship. René Erni and Roman Hugi round out the top 3. 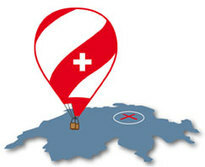 The Swiss Nationals results are posted here. The Swiss Cup event was run simultaneously to the Nationals event, and was open to competitors throughout Europe. Many top pilots took advantage of the early season competition in preparation for this years World Championships in Battle Creek. German Sven Goehler edged out fellow countryman Uwe Schneider by just 51 points for the overall victory. Stefan Zeberli's score was good enough to claim third in the Cup event. The Swiss Cup results are posted here.